They did everything together, so it was only natural that they go into business as a trio. Having launched their business in 2014, sisters Lilian, Marysonia and Mirian Ugokwe have grown their clothing and accessory brand Dashiki Pride to reach 70 countries and have attracted the attention of celebrity customers like Blac Chyna. Despite the sisters being around 22-years-old, their early success is due to their dedication to changing how the world perceives African culture. They have always aspired toward business and found themselves connecting this passion to a love for their homeland. Through their clothing line, the sisters hope to bring forth unity and freedom. Despite the massive attention the line has brought, the Ugokwe sisters are not satisfied. Boasting 300K followers on Instagram and quickly rising to the top of Afrocentric clothing wear, the sisters are continuing their climb by working on their summer 2018 lookbook. Dashiki Pride features clothing for women, men, kids and plus sizes, as well as handbags, shoes and jewelry. Unlike many other brands featuring Afrocentric clothing, Dashiki Pride’s prices remain low, starting at $20 for shirts and the jacket in Black Chyna’s closet is only $60. 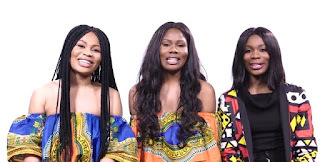 No matter their growth, the sisters will stay true to the morals implanted behind the name of their brand, which captures the essence of dashiki clothing.